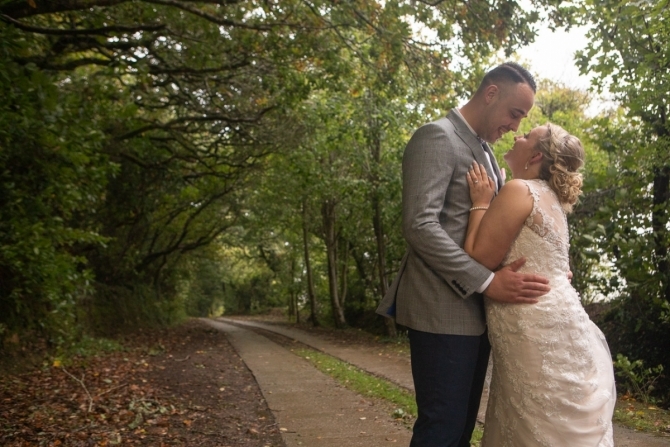 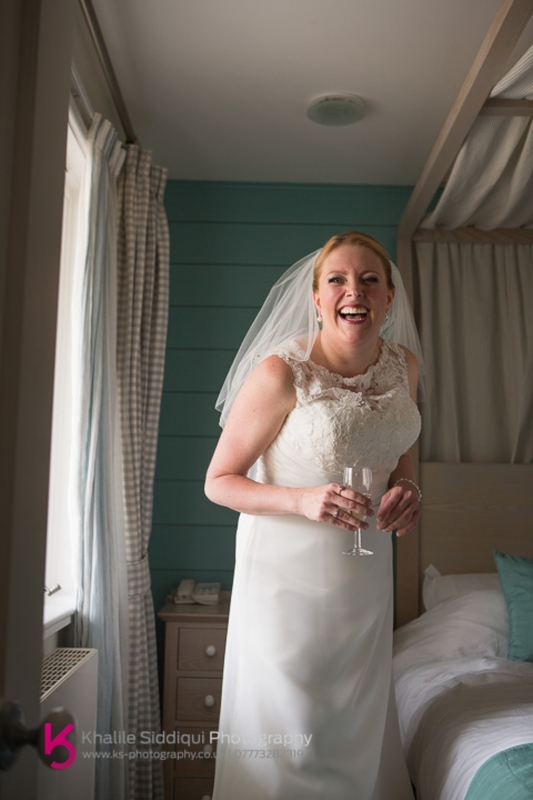 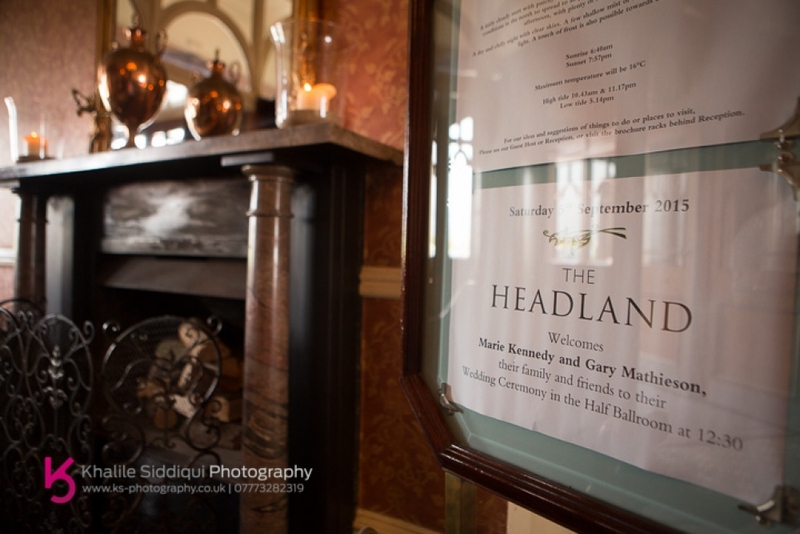 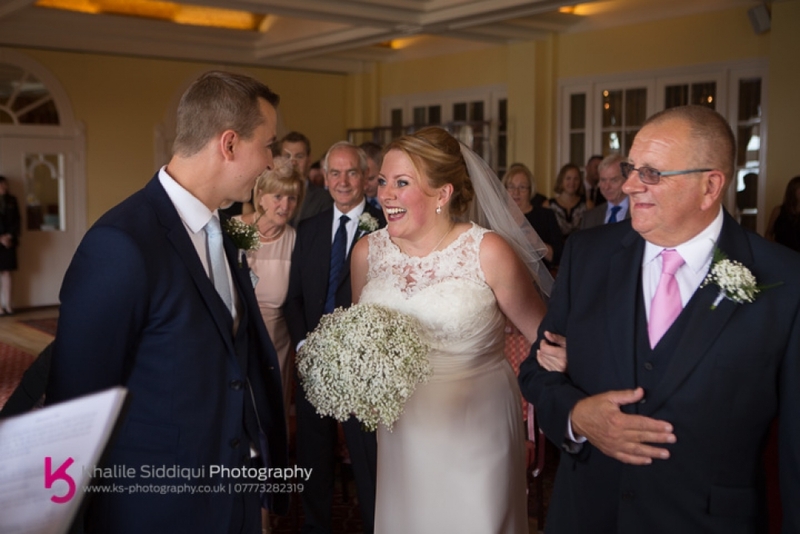 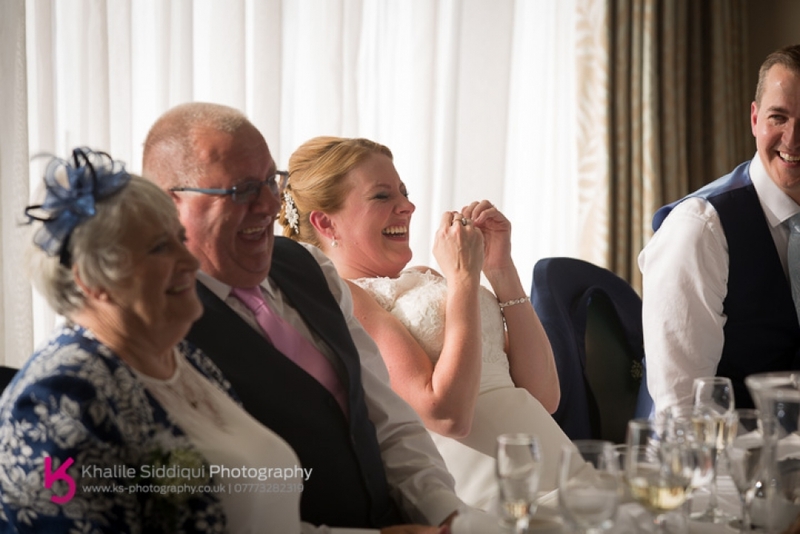 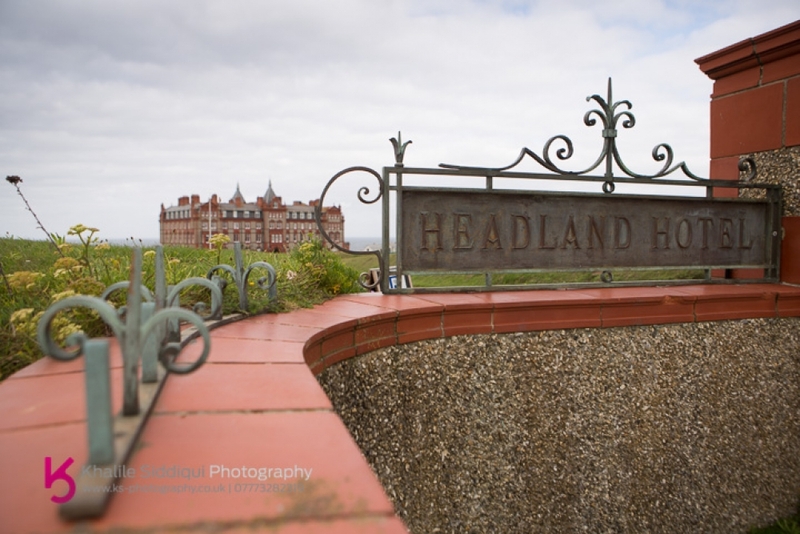 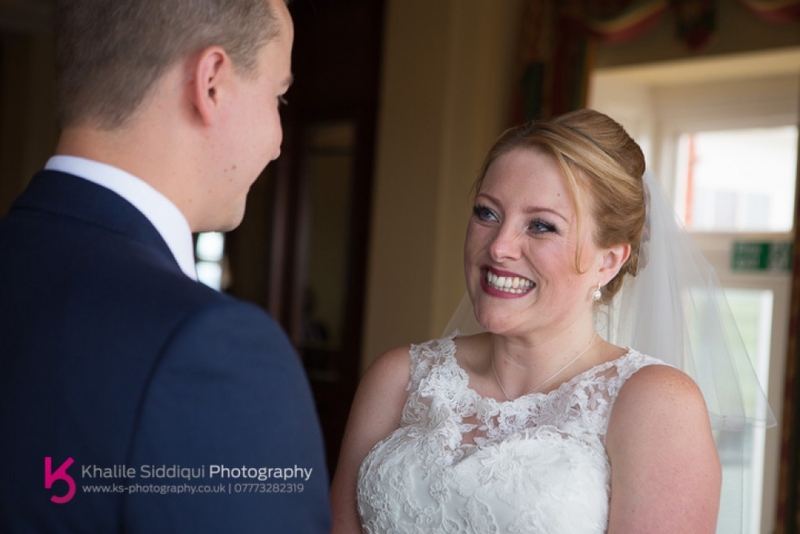 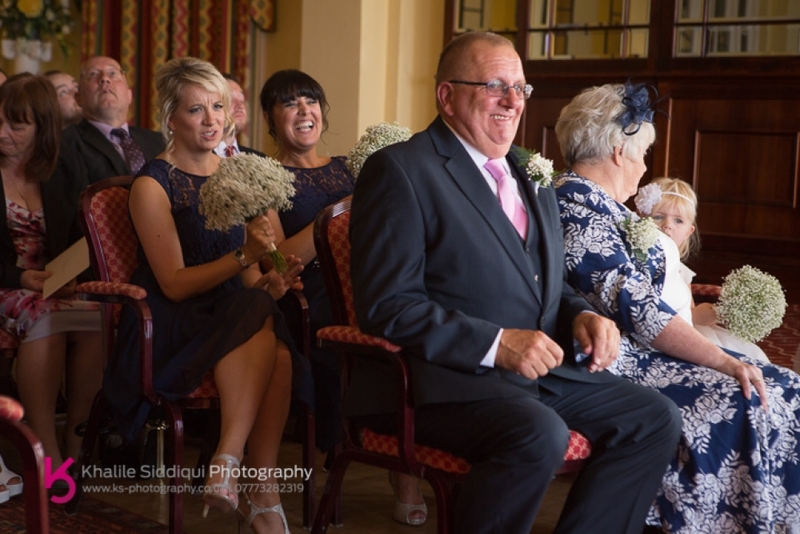 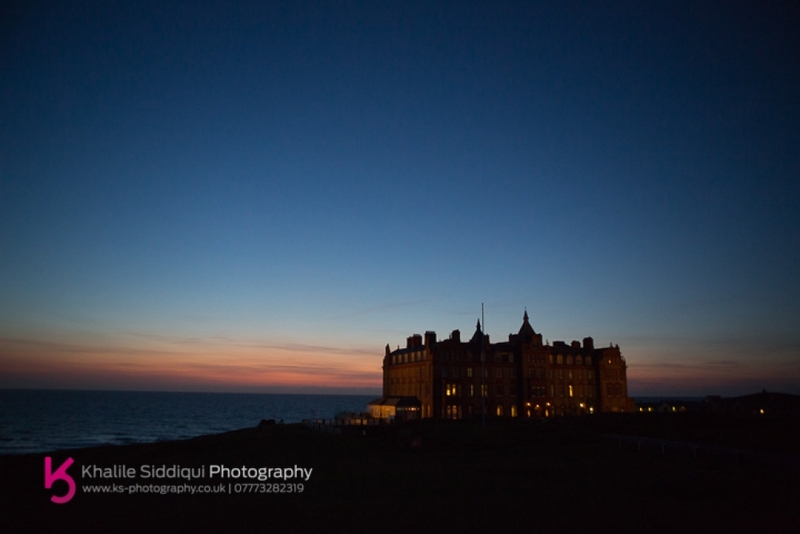 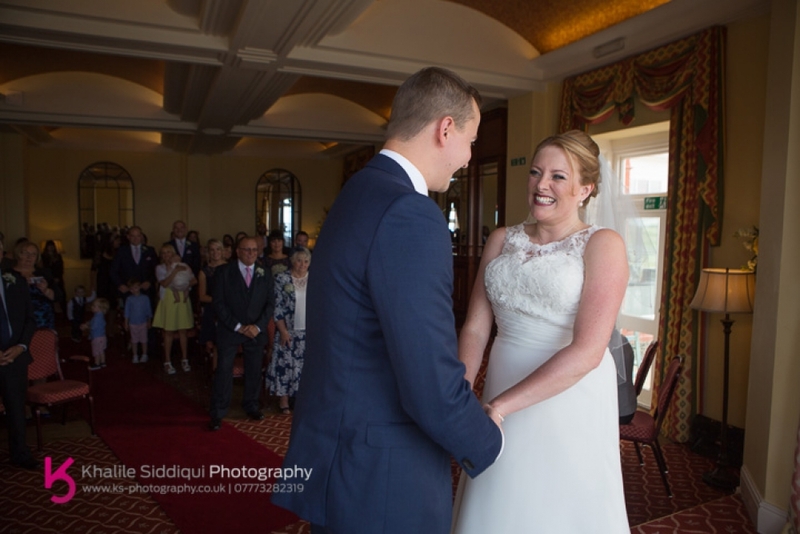 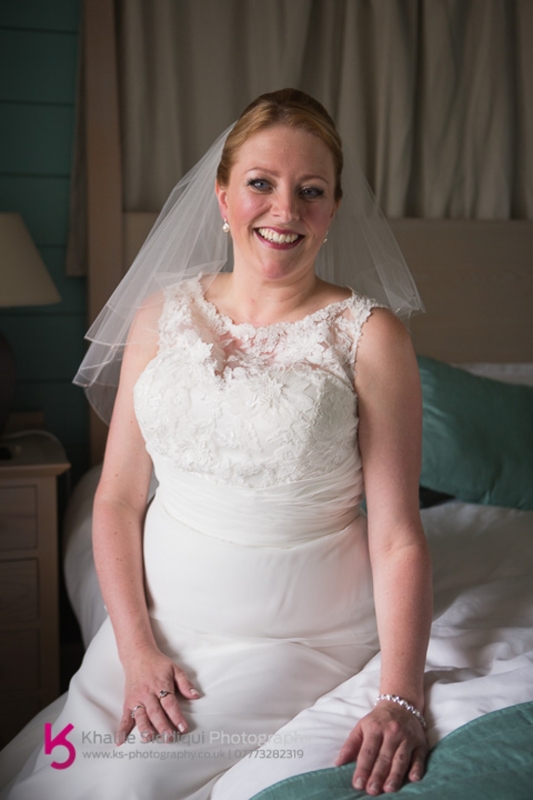 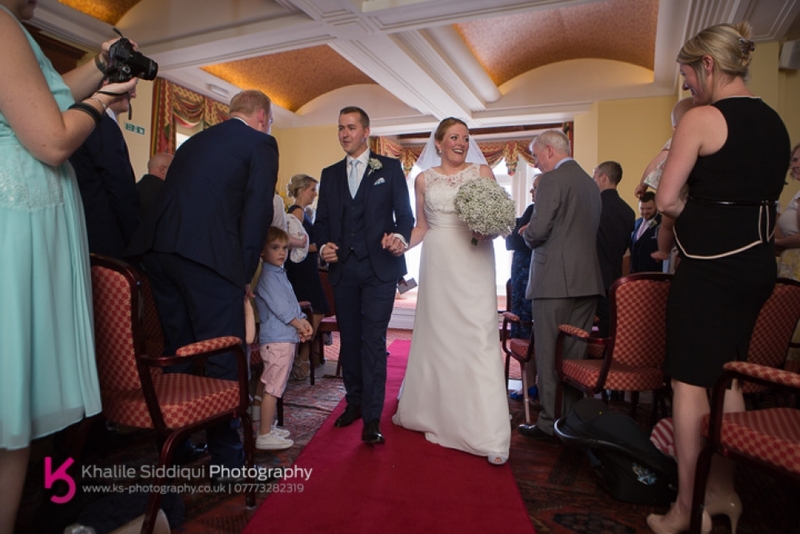 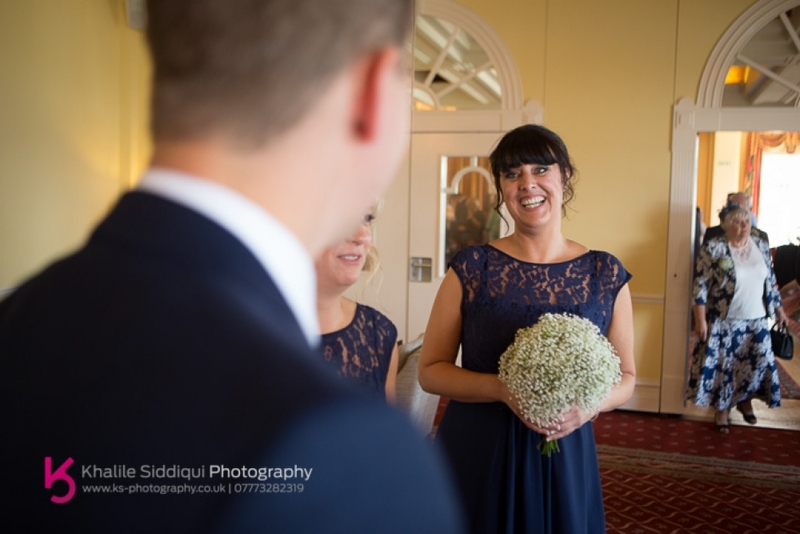 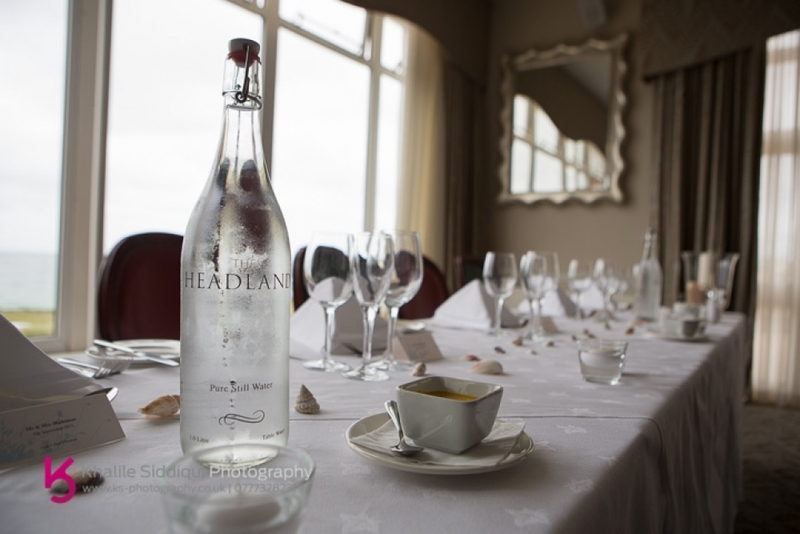 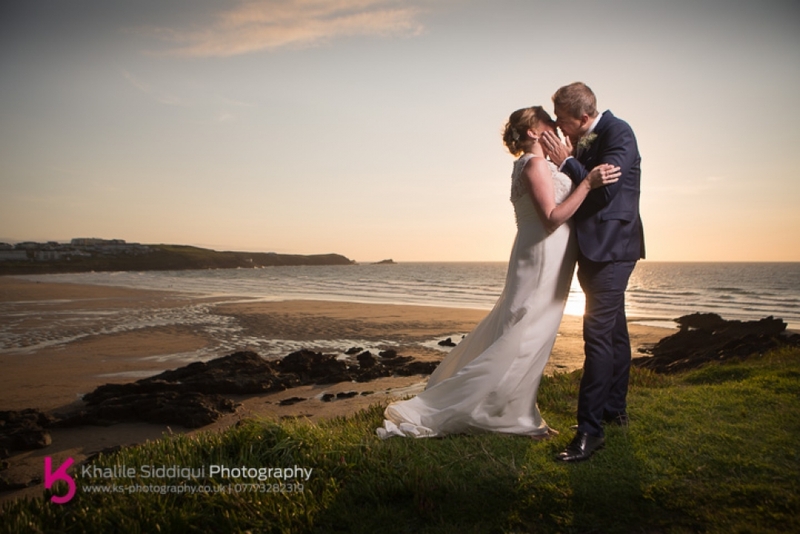 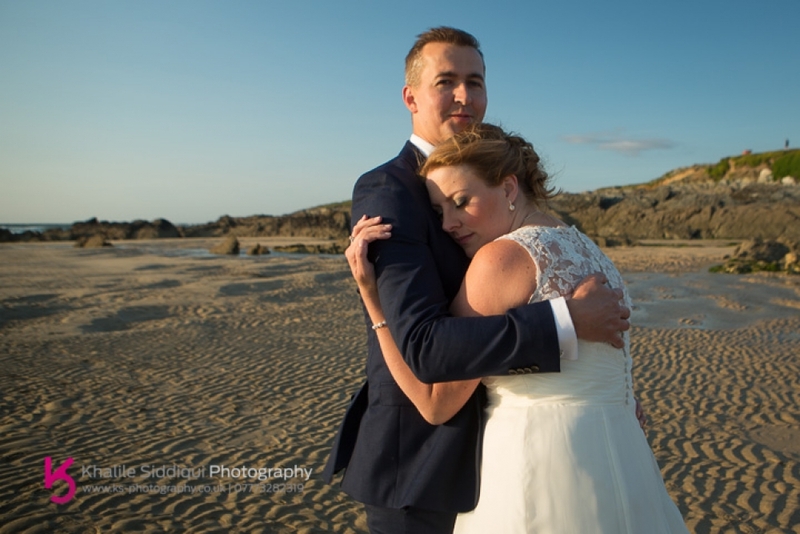 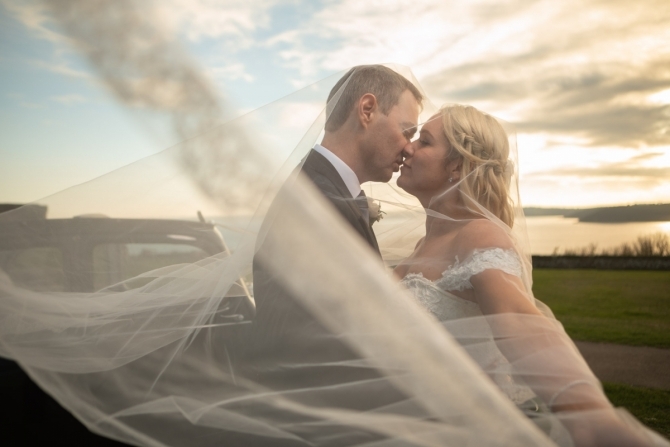 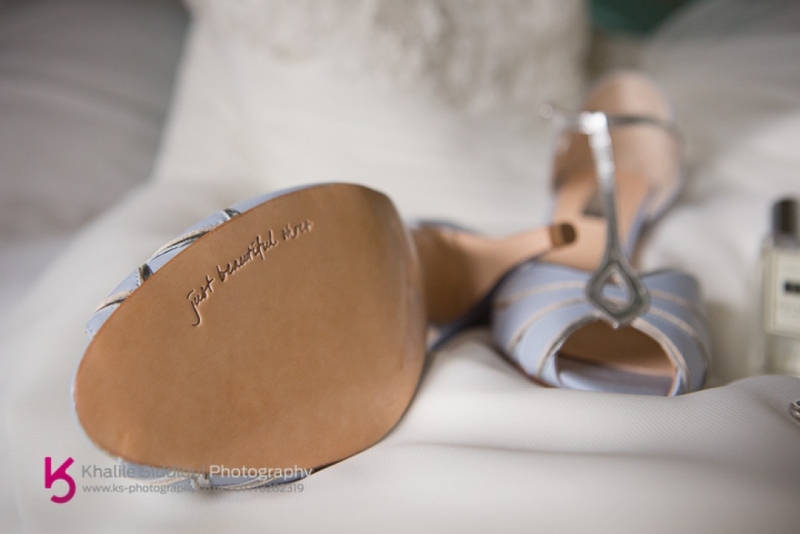 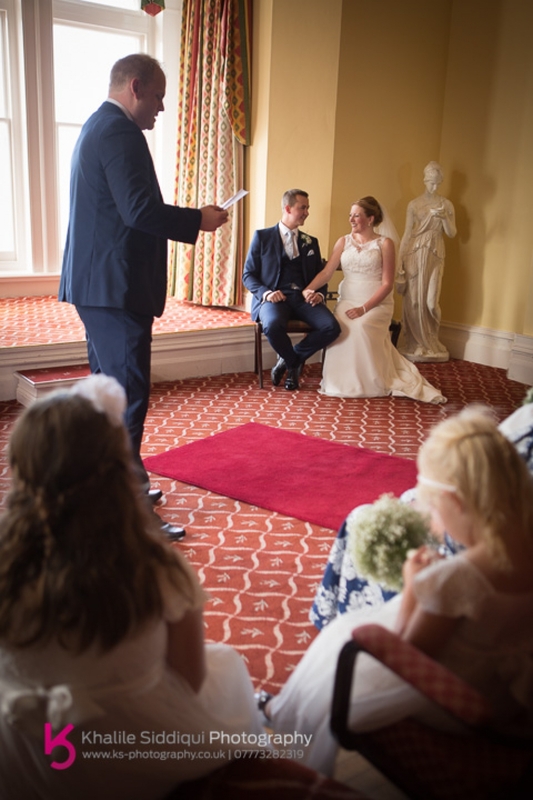 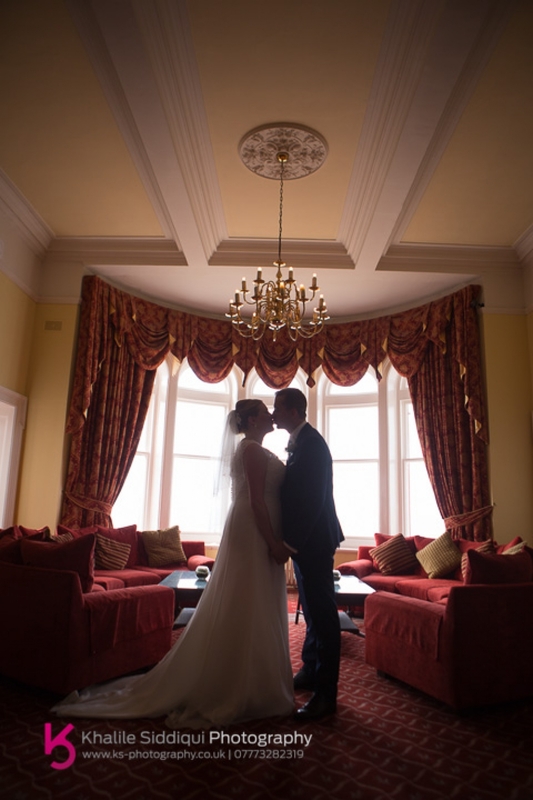 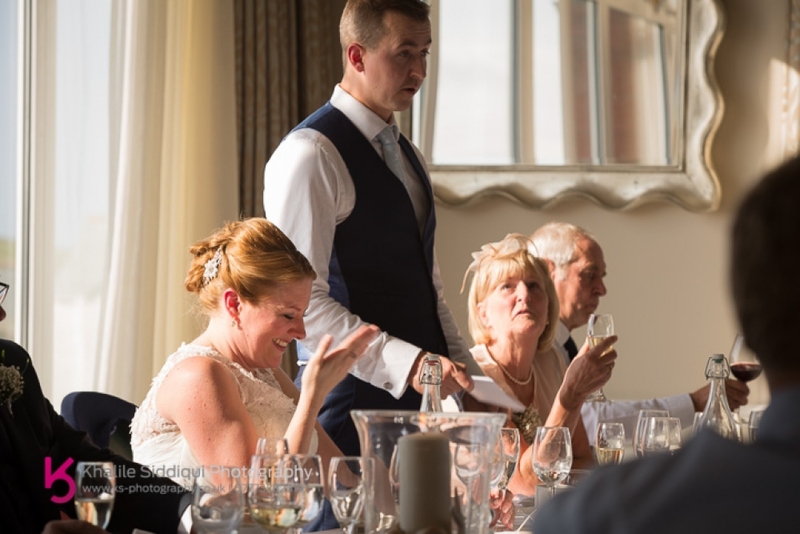 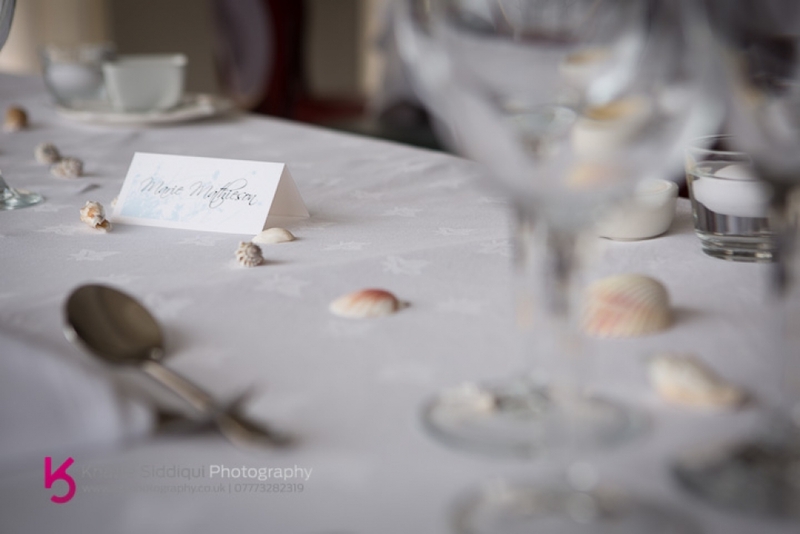 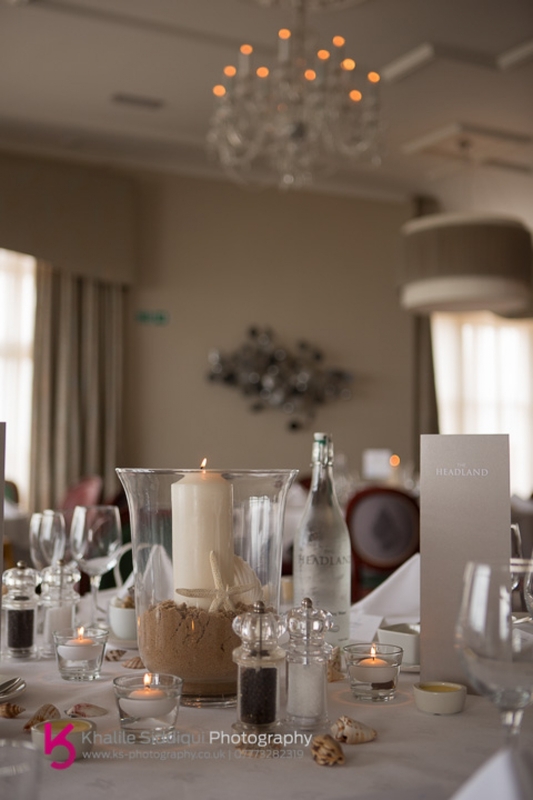 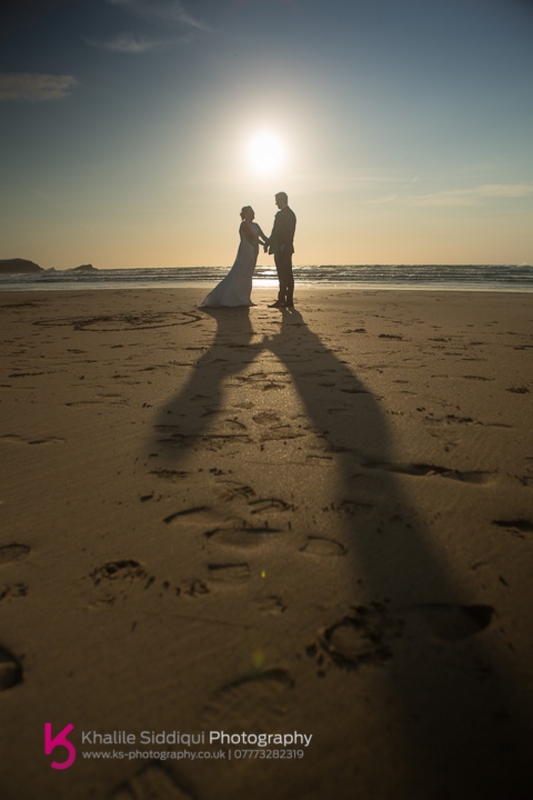 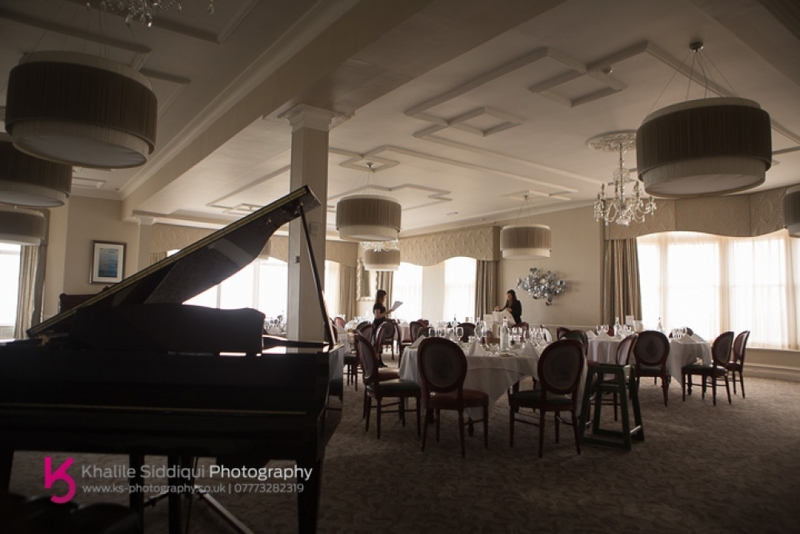 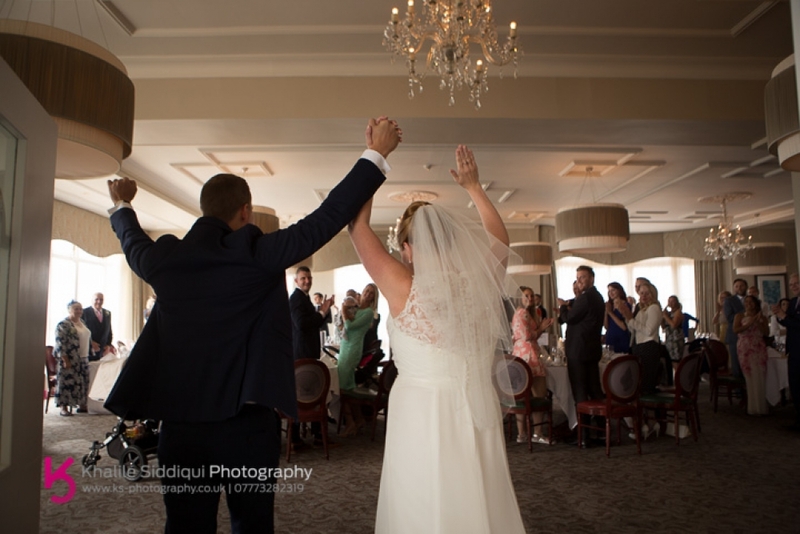 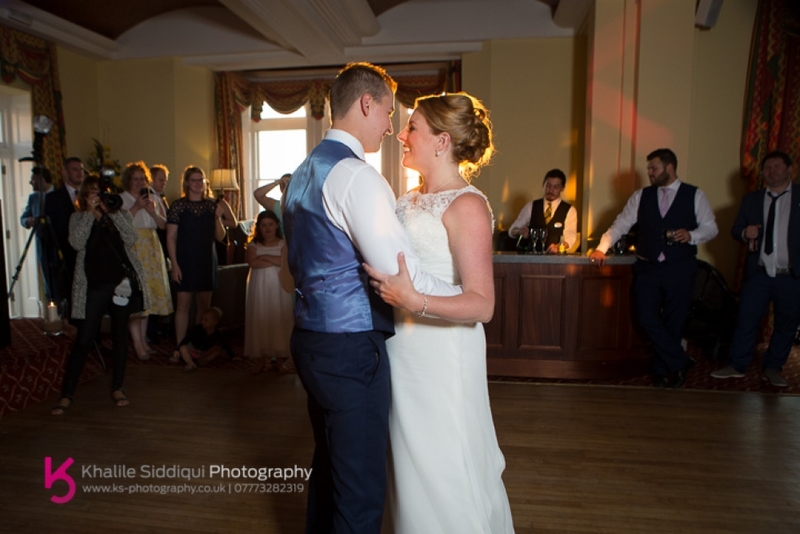 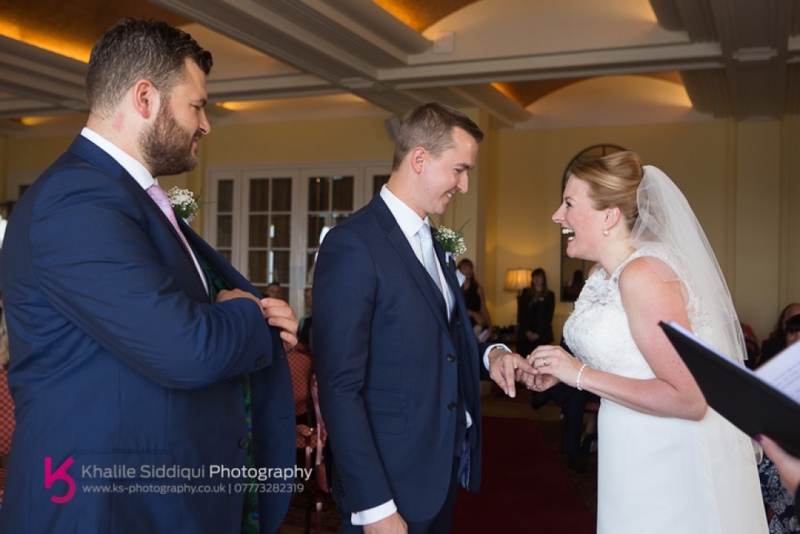 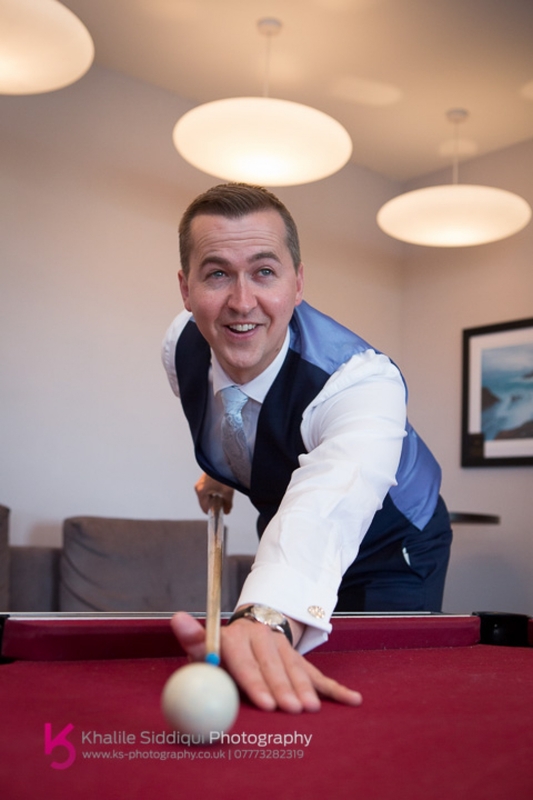 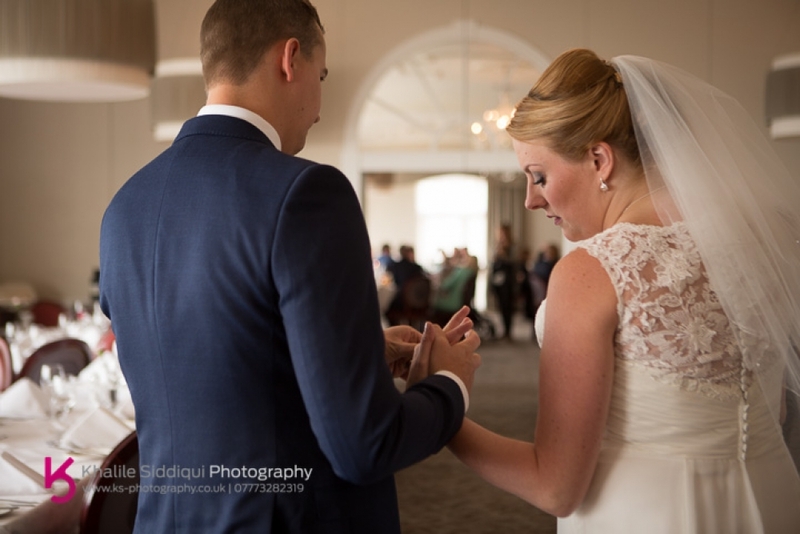 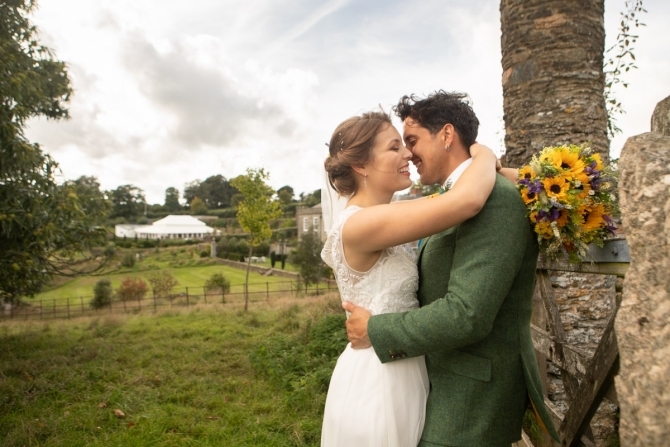 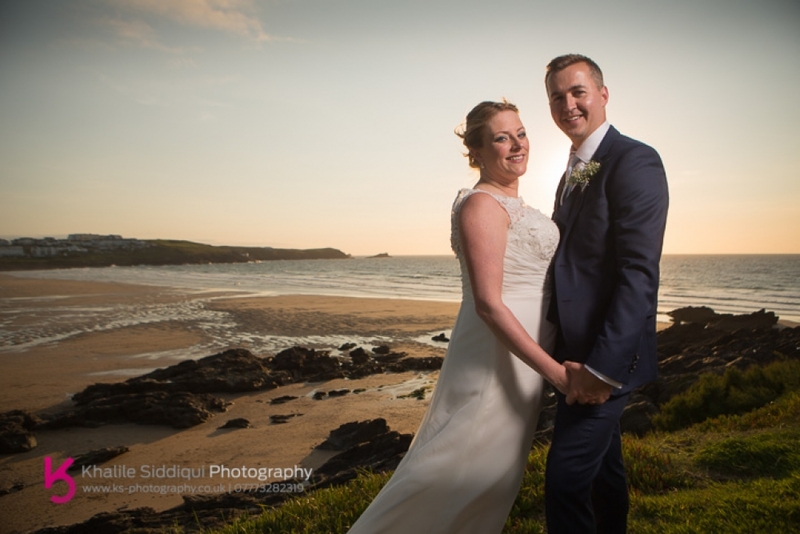 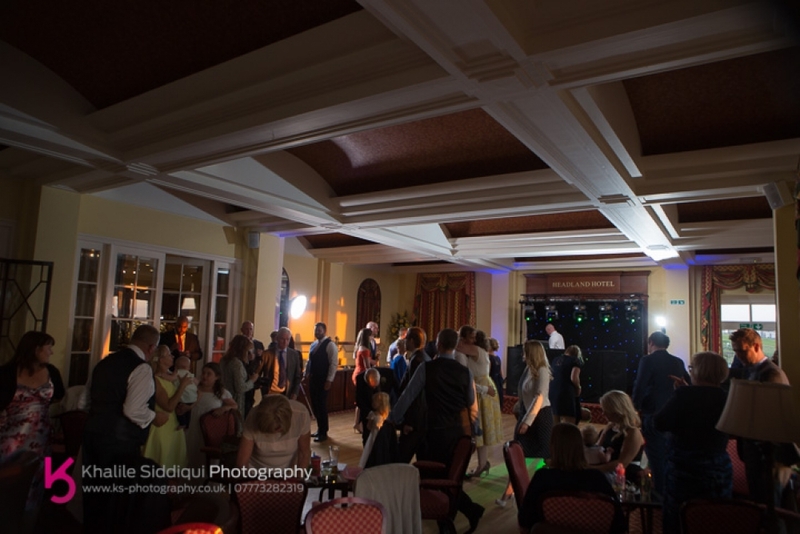 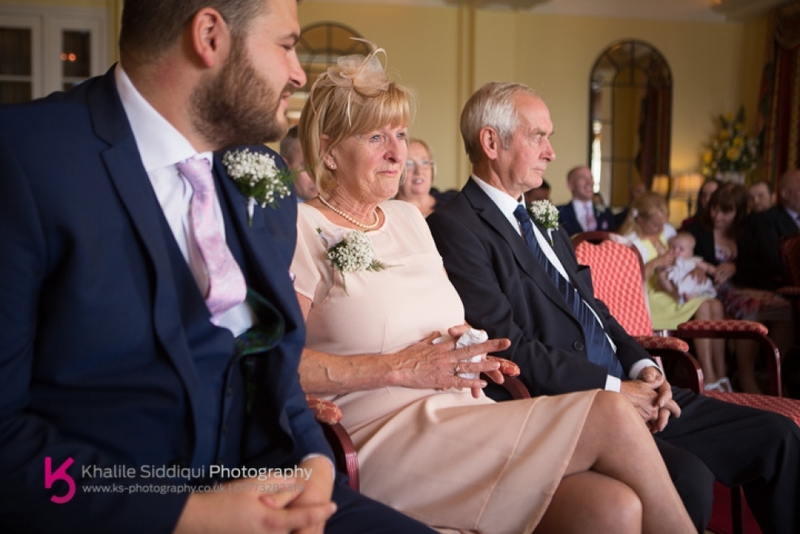 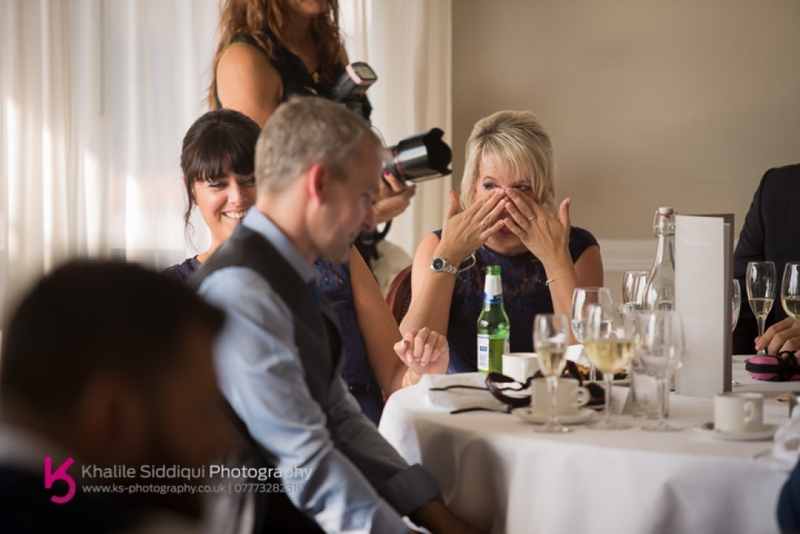 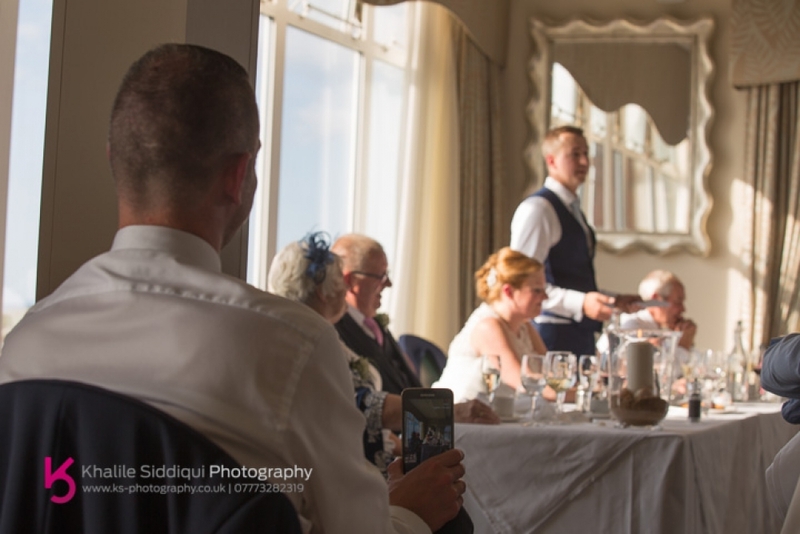 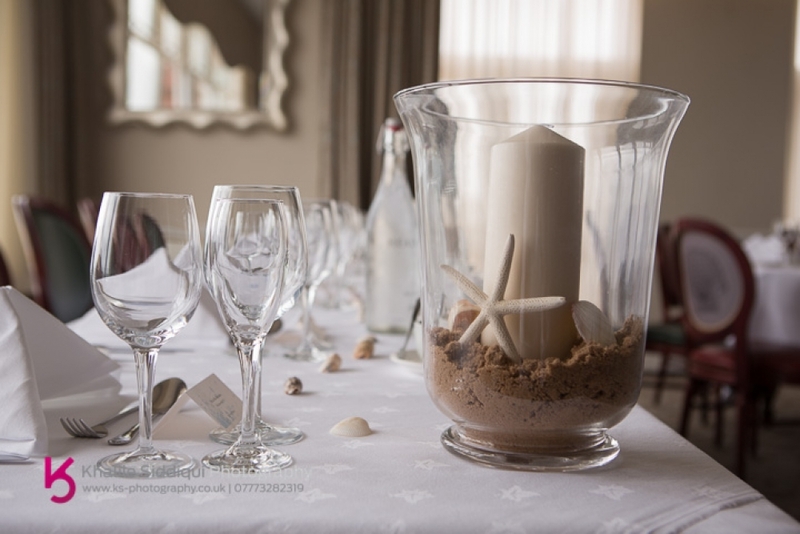 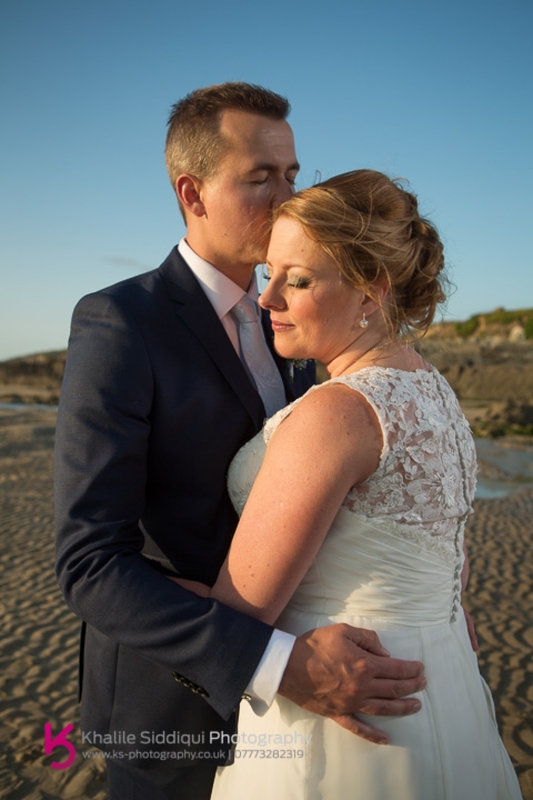 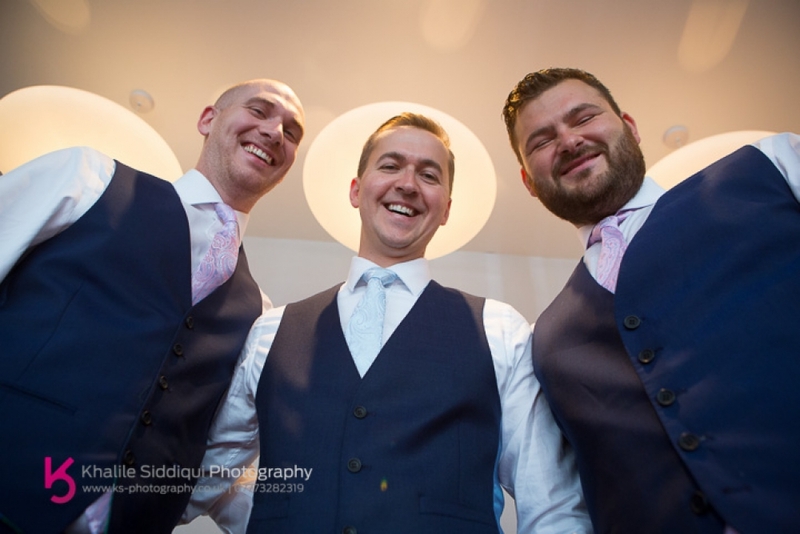 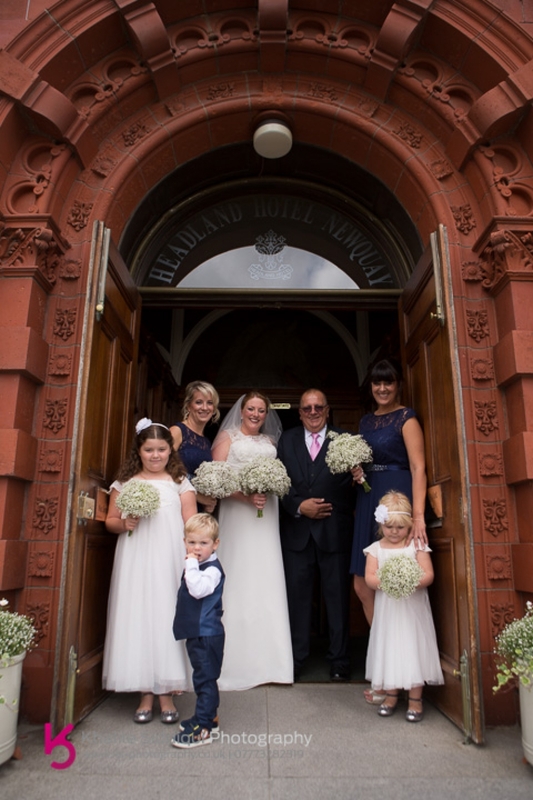 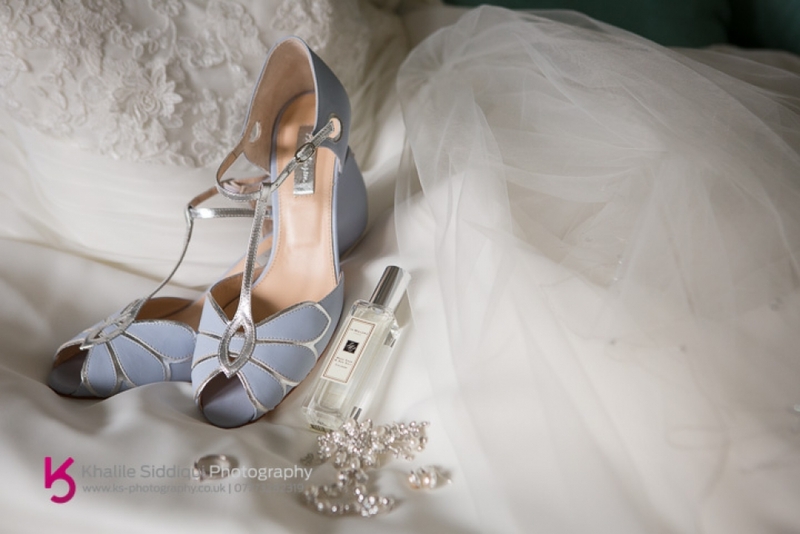 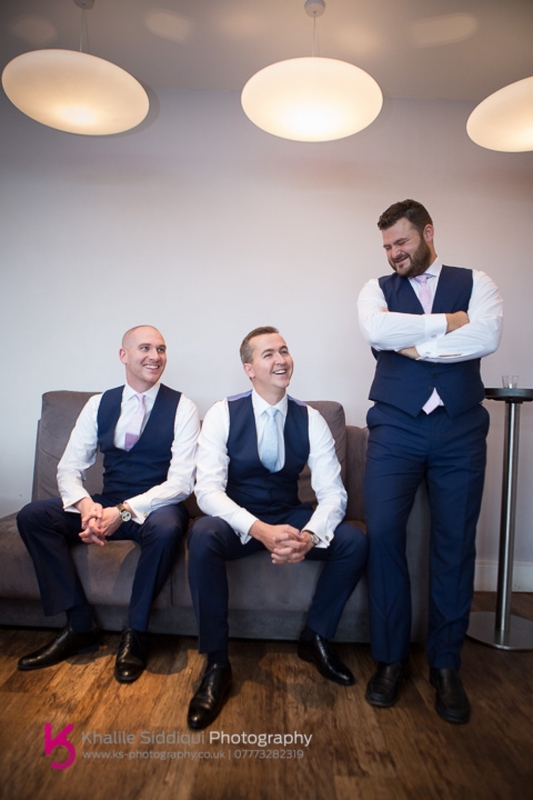 Marie and Gary chose us to photograph their Headland Hotel wedding after we had a long good chat together last year at the hotels wedding open day, and I sure am pleased that they did, even if it was on our daughters thirteenth birthday! 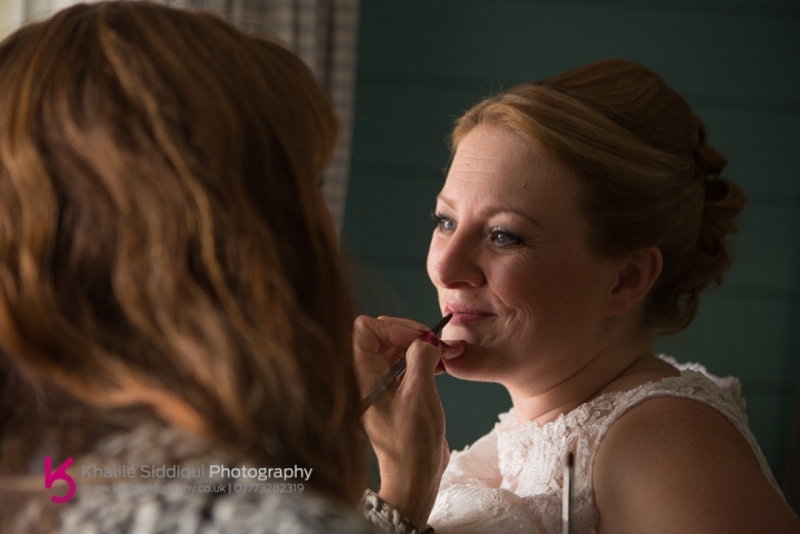 Tamsyn's day started a bit earlier than mine with her doing the girls makeup and beauty styling at the Headland, but my day started with the fella's just down the road. 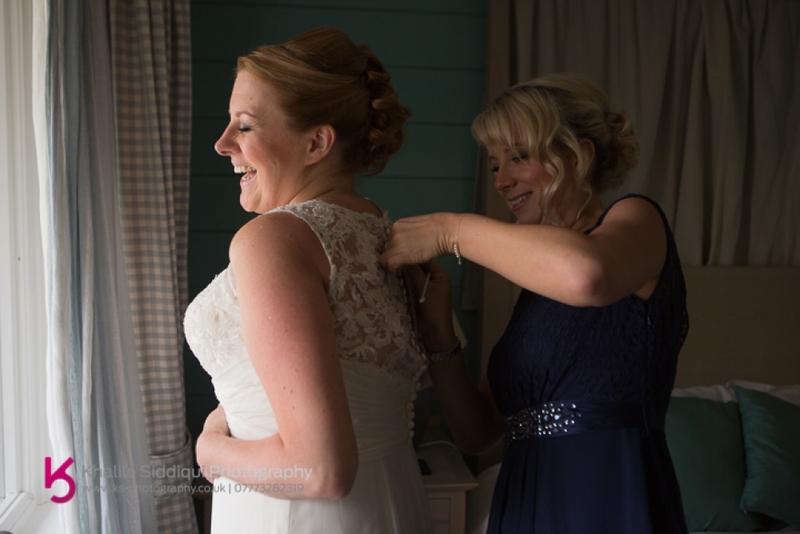 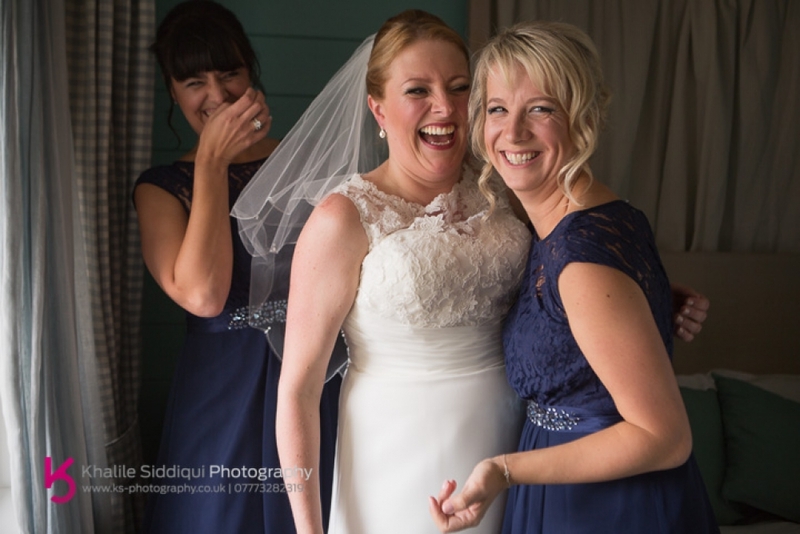 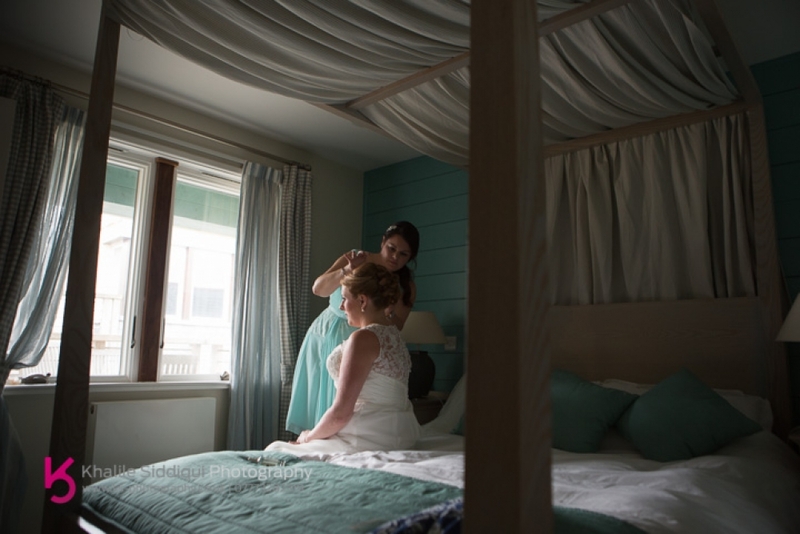 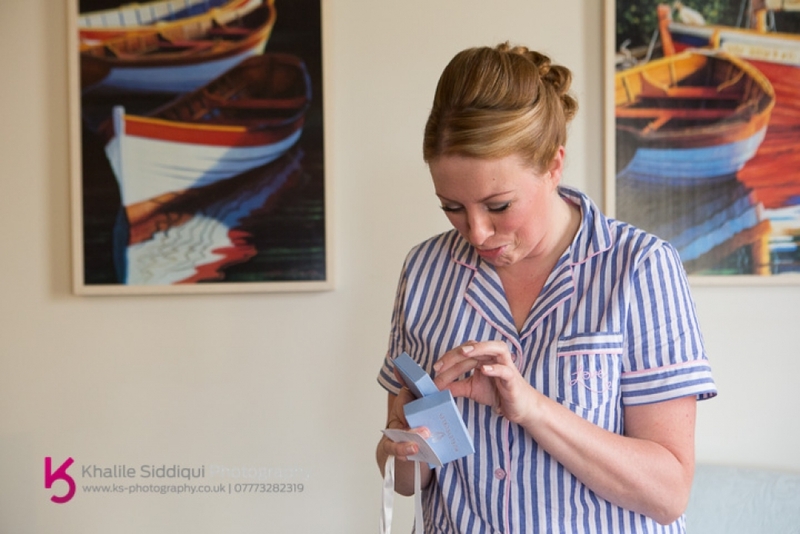 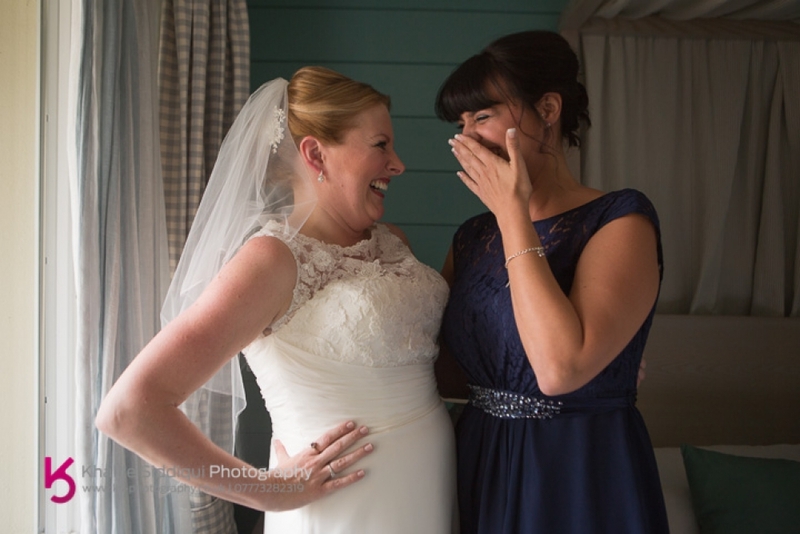 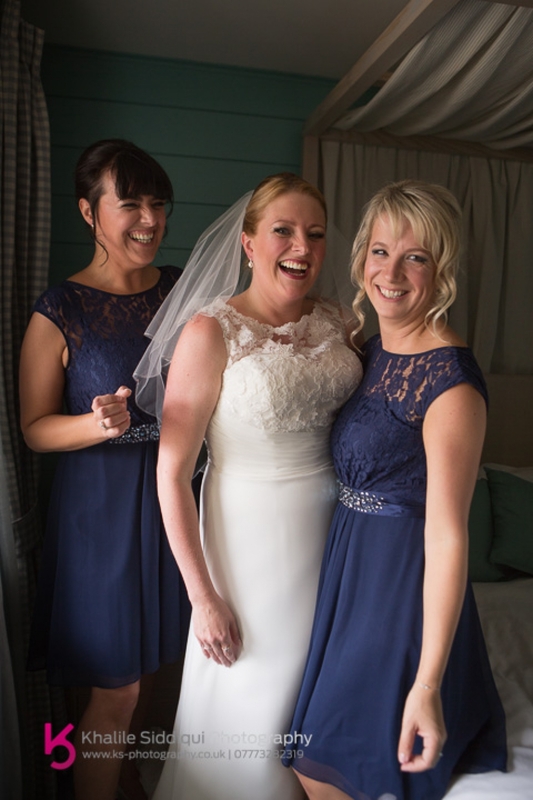 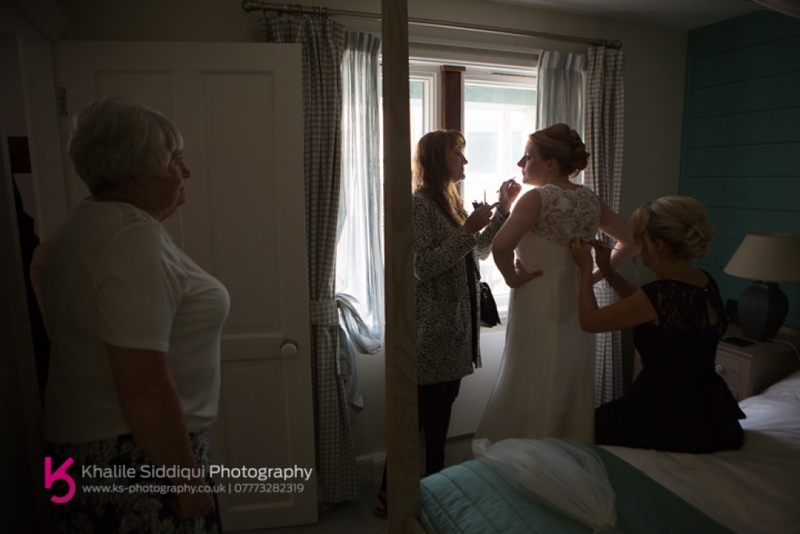 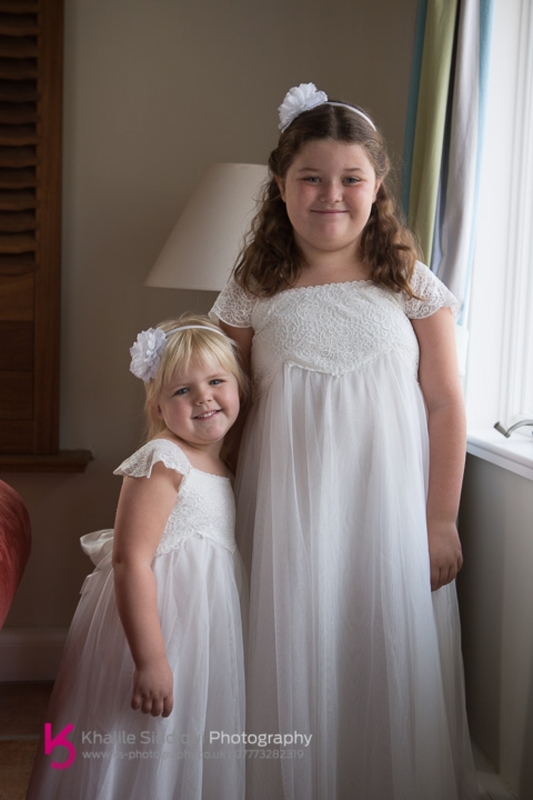 The girls were getting ready in one of the cottages within the Headland hotels complex which I'd not been to before. 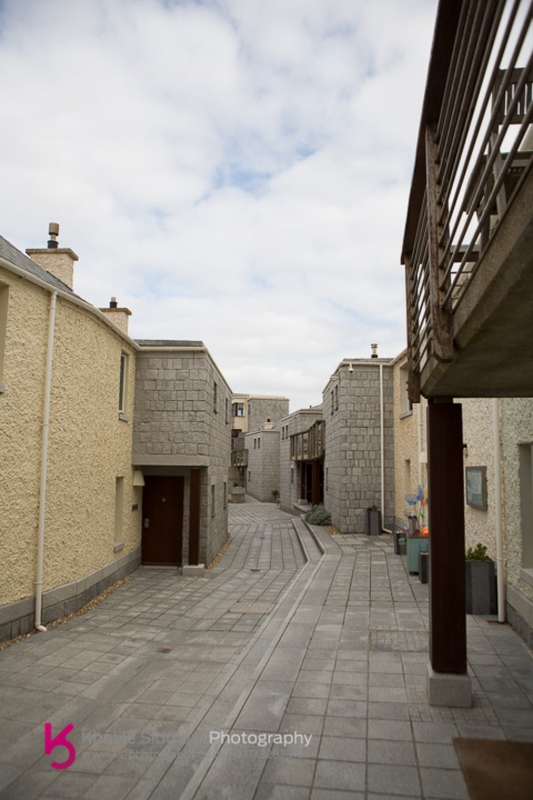 I was really charmed whilst making my way to Marie by the design of the place, felt like a contemporary Spanish village. 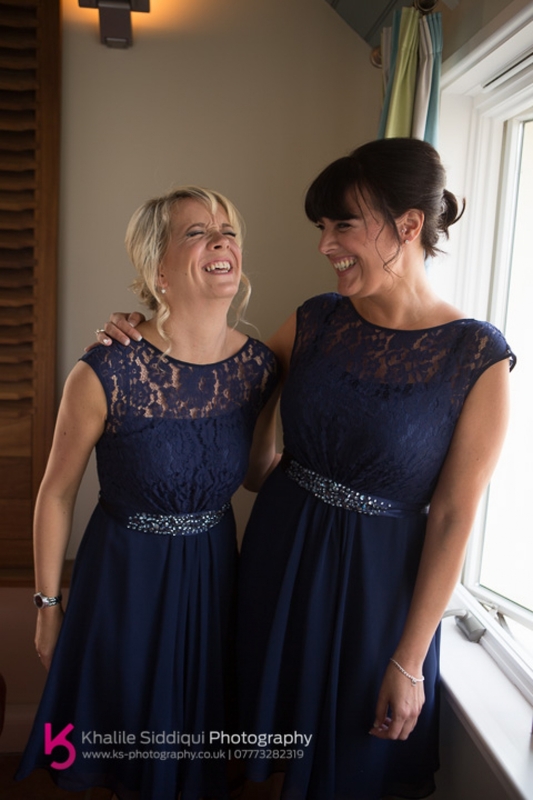 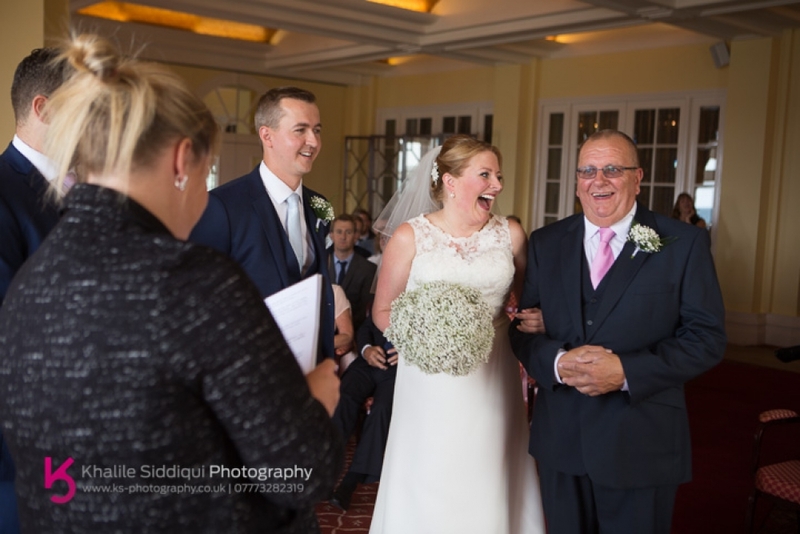 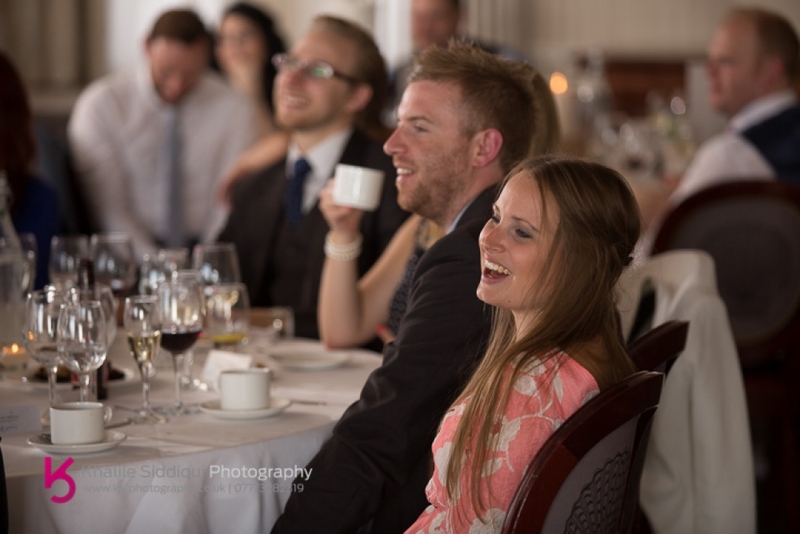 Because of the size of their wedding, Marie and Gary chose to get married in the half ballroom for a laughter filled ceremony with friends and family. 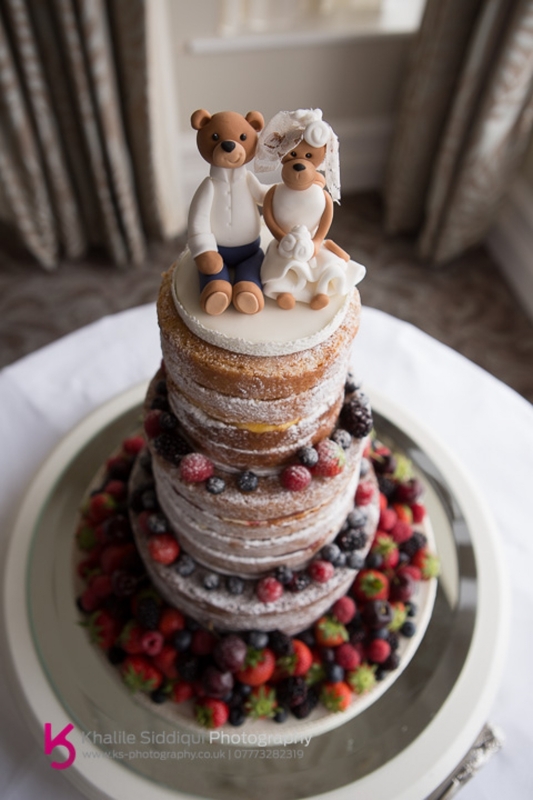 Marie & Gary went for a naked Sweet Thoughts cake, with icing versions of their pet names for each other as cake toppers "Monkey and the Bear"! 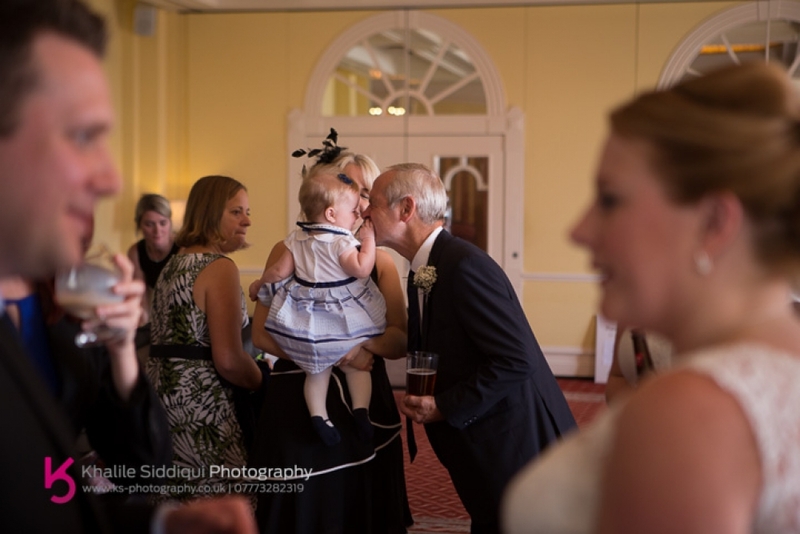 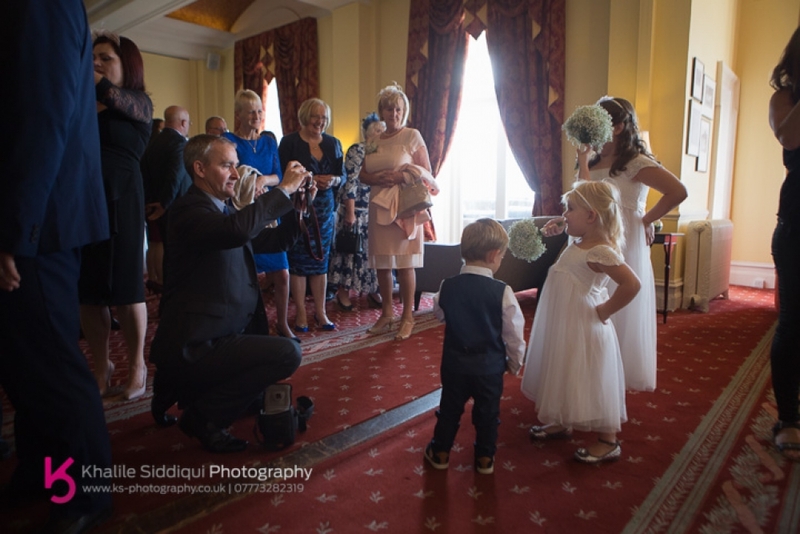 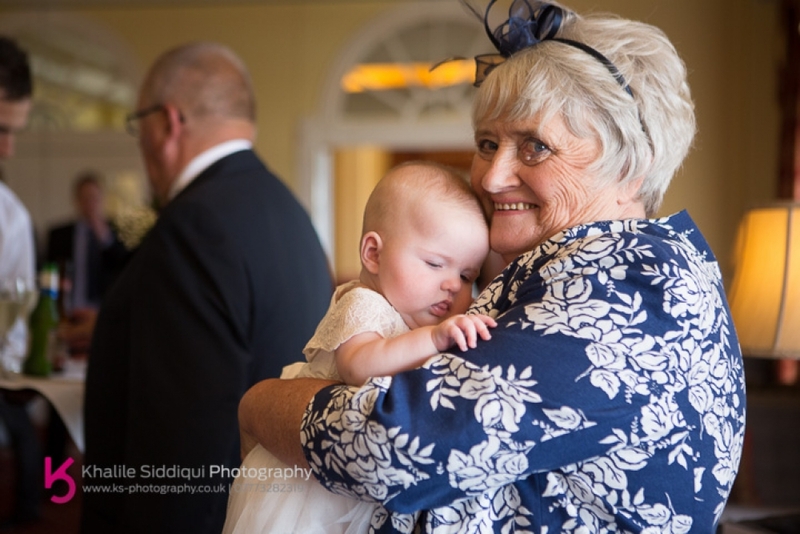 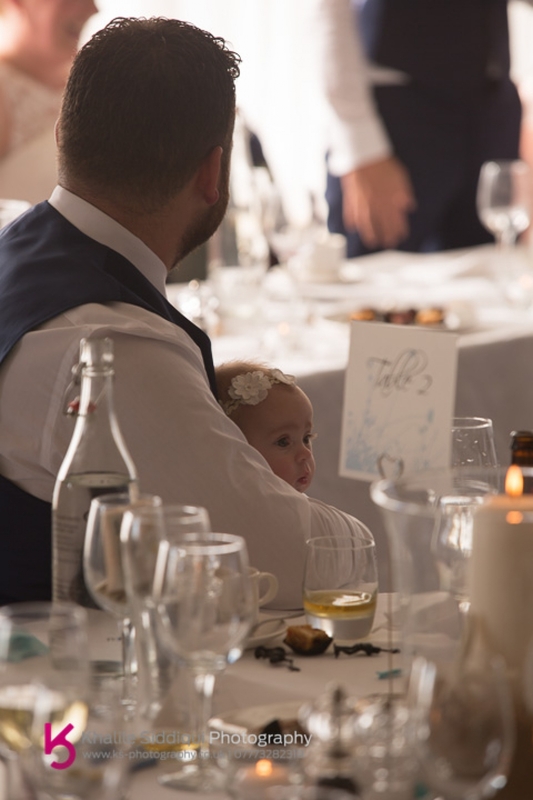 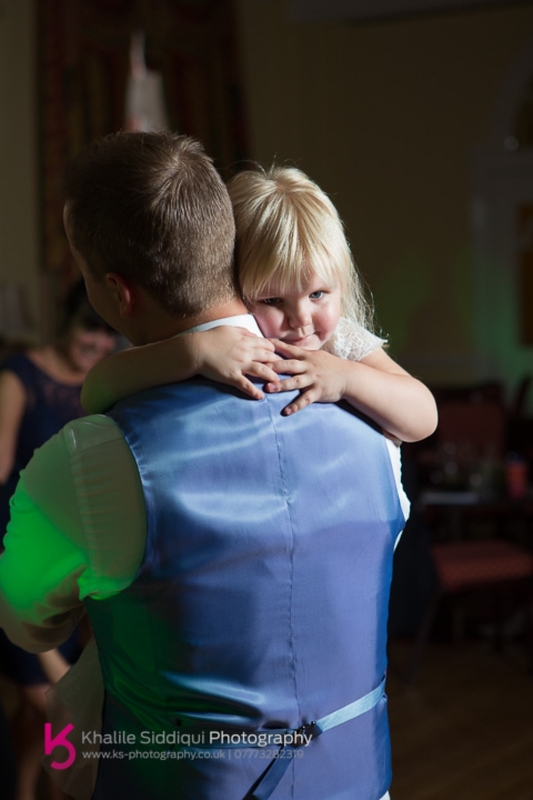 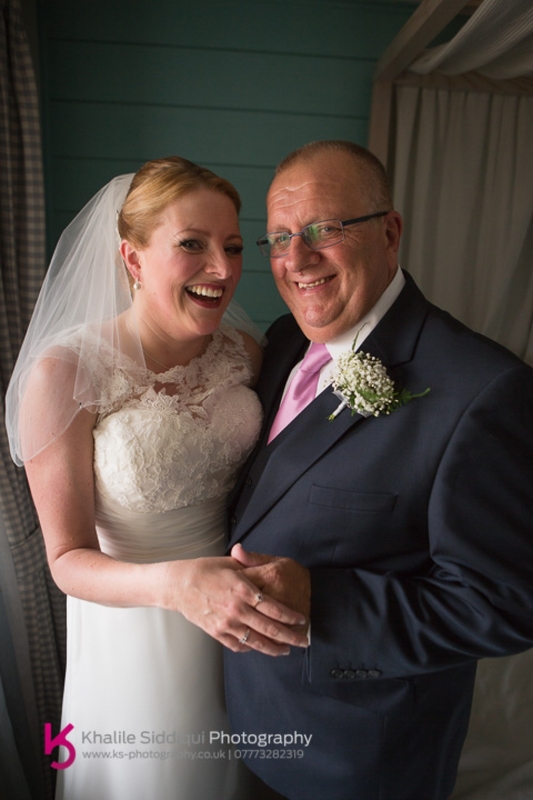 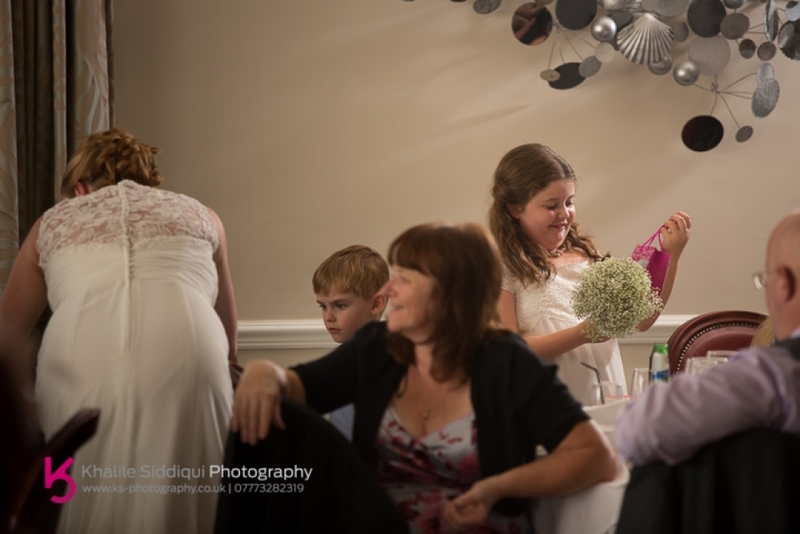 I love this shot of one of Marie and Gary's little girls giving Daddy a cuddle on his wedding day.....Bless her! 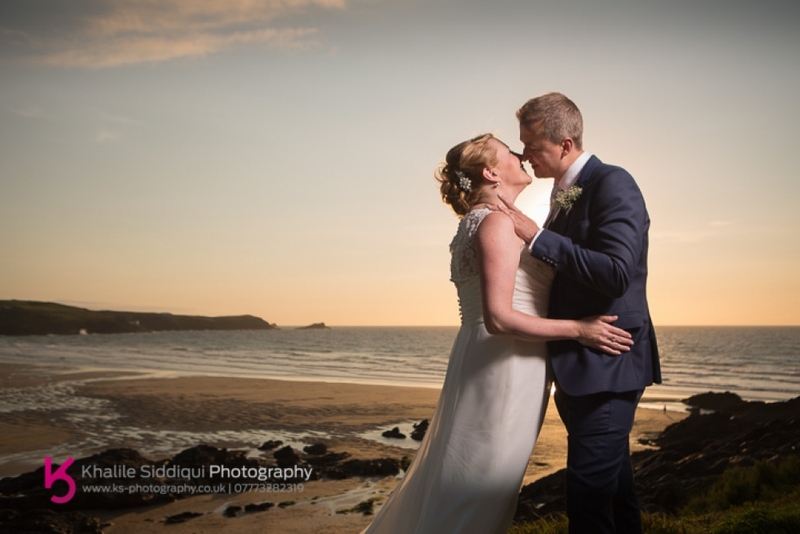 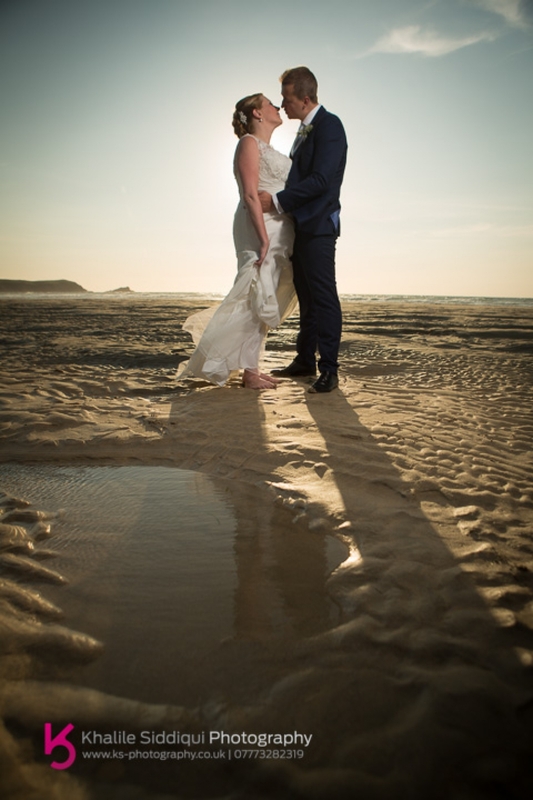 Dearest Marie & Gary, may your marriage be as colourful as the evening sky on your wedding day!